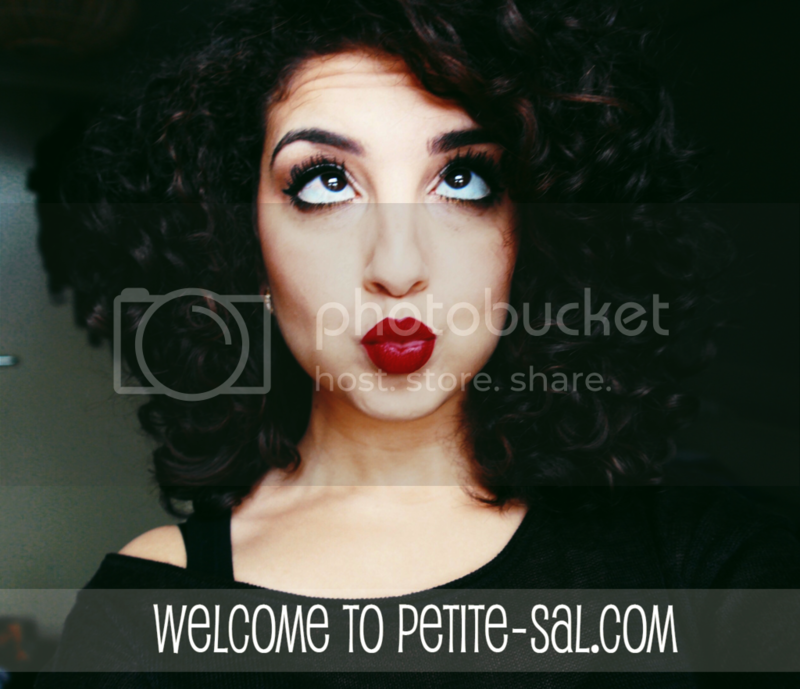 PETITE-SAL: Curls just wanna have fun! Lately I get a lot of compliments and comments on my hair. I think it's because you can finally see results of how much I take care of my hair. In 3 days, about 8 women have approached me to ask me things about my hair. What do I use to keep it so healthy? How do I take care of it? Do have any tips? Of course I do! Today I'll be talking about my hair routine. I have natural curly hair. I have a lot of hair and it's very thick. I often get the question if I have extensions. No, I don't have any extensions. My hair is just very thick and it grows way too fast! Keep in mind that curly hair is different than "normal" hair. Curly hair is often dry. To have beautiful, healthy curls, you have to take good care of your hair! A while ago I shared some tips for curly hair. So for tips, read that post. Today I'll just go through my hair routine step by step. 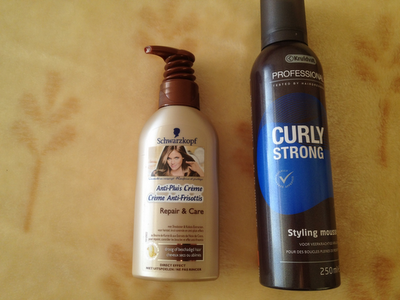 When I wash my hair, I almost always use a shampoo and conditioner for curly hair. I've really noticed a difference between shampoo for "normal" hair and for curly hair. When I use a shampoo for curly hair, my curls are more defined and less frizzy. I just shampoo my hair, rinse really well and then use conditioner. When I applied my conditioner, I comb my hair and let the conditioner in for a minute or 3-4. Then I rinse my hair, but leave just a little conditioner in my hair. I don't rinse it all out, because my hair can use some extra conditioning. Tip: don't wash your hair daily. Curly hair is very delicate and dry. I wash my hair about 2-3 times a week. Sometimes once a week. When you notice your curls are getting less beautiful, just wet your hair a little. This is the shampoo I used for a while, but it's discontinued!!!! I LOVE these products! They leave my hair so soft and my curls are so defined and frizz free. It's a house brand from a local drugstore. Usually I'm not a fan of house brands, but I found this by accident and it's definitely one of the best products I've EVER used. Even better than that crap they sell you at the hairdresser. So I got back to the shampoo and conditioner I've always used. I use this for over 4 years now. I've used many other products, but I keep falling back on these. 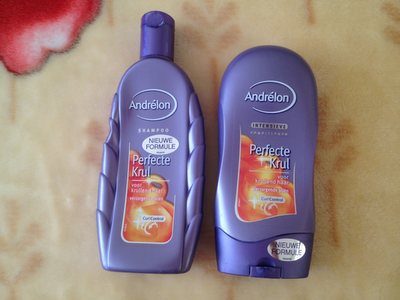 I don't know if Andrélon sells internationally. It's not a WOW-brand, but it does its work properly. It's not like the shampoo and conditioner above. Unfortunately. But it's still a great product. When I style my curls, I keep my curls moisturized. 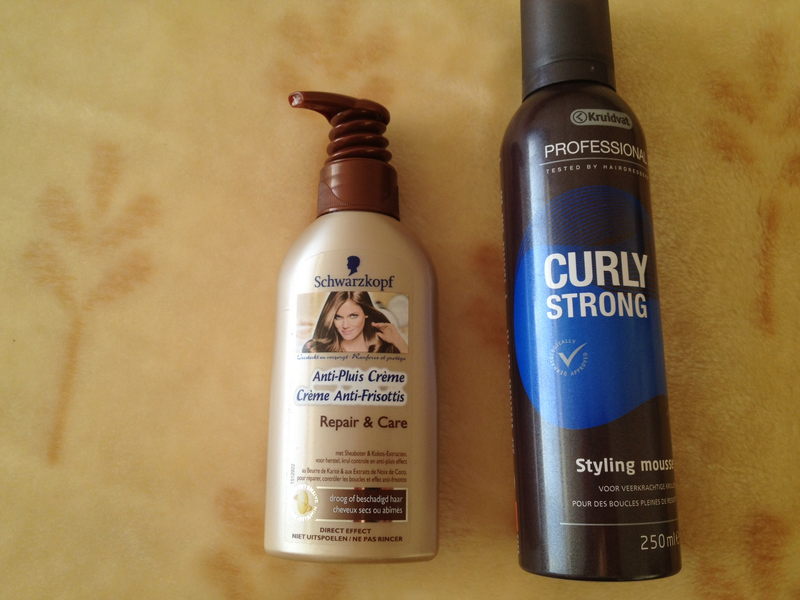 Firstly I feed my curls with a good cream and then I use a mousse to define my curls. I've tried many products, believe me. But this is the combination that works best for me. Don't believe what most hairdressers tell you. Curls are hard to take care of and some hairdresser with straight hair doesn't know how to take care of curls. Did you know that I often give tips to my hairdressers? And they're professionals, really. Weird huh? These are the products that I use. After washing my hair, I put a towel on my head. I leave it for a minute or 5, until it's towel dry. First I apply a generous amount of the leave-in conditioner, especially in the ends. Then I put some of the mousse in my hair. The leave-in conditioner contains sheabutter and coconut. The mousse is of a house brand, once again. I don't know what it is, but I noticed that the 'professional' lines of house brands are really good! I love using this mousse. It's a soft mousse, as if it has oils in it. You only need a small amount and it doesn't make your hair hard. That's it, that's all I use. Mostly I let my hair air dry, but when I´m in a hurry or when I want extra volume, I blow dry my hair with cold air and a diffuser. And when I don't wash my hair, I wet it a little and put a small amount of the products in my hair to prevent frizz. But to keep my hair healthy and beautiful, I put a little extra effort in it. Once a week or two weeks, depends on my time schedule, I do a hair mask. What works best for me are all natural masks (oils). Usually I do an olive oil mask. This pretty much works for every hair type! I just put a generous amount of olive oil in my hair, comb it through, leave it in for 1 or 2 hours and then rinse it out. I buy my olive oil at foreign shops, not at the supermarket. Sometimes I skip the olive oil and use Argan oil. This oil is heavenly! I use it for my skin too. It's quite expensive, so I don't use it very often. When I've used it, it leaves my hair (and skin) silky soft! 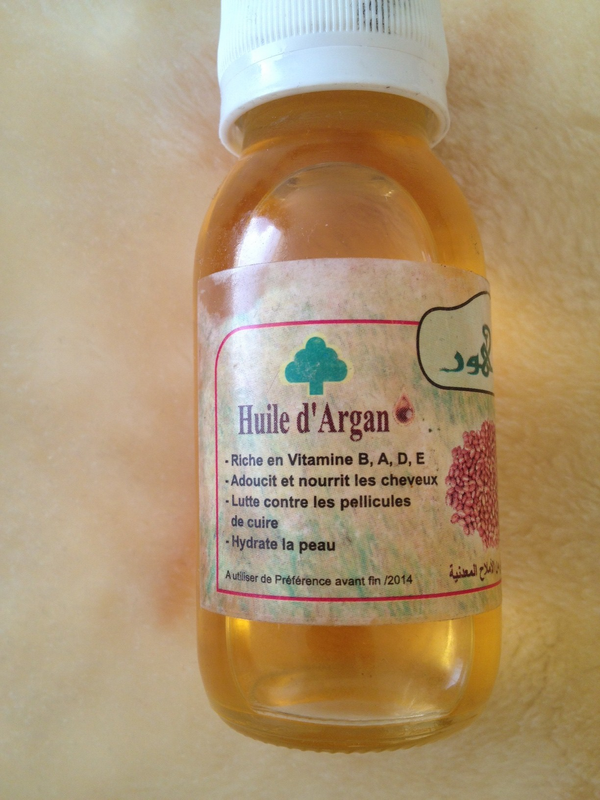 A little bottle of Argan oil. I don't know where it's from, because my mom bought it for me. I think it's from a Moroccan store or maybe the market. I really have no idea! These were the products I use for my hair on a daily base. Sometimes I try new products, but eventually I always fall back on these. It took me a while before my hair got this healthy, because you don't see results immediately. Two years ago my hair was a mess! I'm glad I finally found the routine that works for me! I used to straighten my hair every day a few years ago. Now I love my curly hair more than straight hair. If I can do it, you can do it! Throw that flat iron away and rock them curls! You do have very beautiful curls dear!!! Love the tips!! You have indeed very pretty hair! Looks like you got some great hairquality! Your hair sure looks amazing! I really need to get me some argan oil! You look gorgeous Sal and your hair looks amazing! I have naturally straight hair so in comparison my haircare routine is very different from yours. For me there's a fine line between moisturizing my hair too much (which will make my hair so flat and heavy) or not moisturizing it enough. I remember one of my hair stylists gave me the same tip you shared in this post: to only rinse out about 90% of the conditioner and to leave some of it in for moisture. Great review Sal! I'm sure your tips will help a lot of girls with curly hair. Thanks for sharing. I <3 your curls! Om jaloers op te zijn haha. Your curls are perfect, how I wish my curls were as pretty as yours! omg!! you look super pretty! Great review! 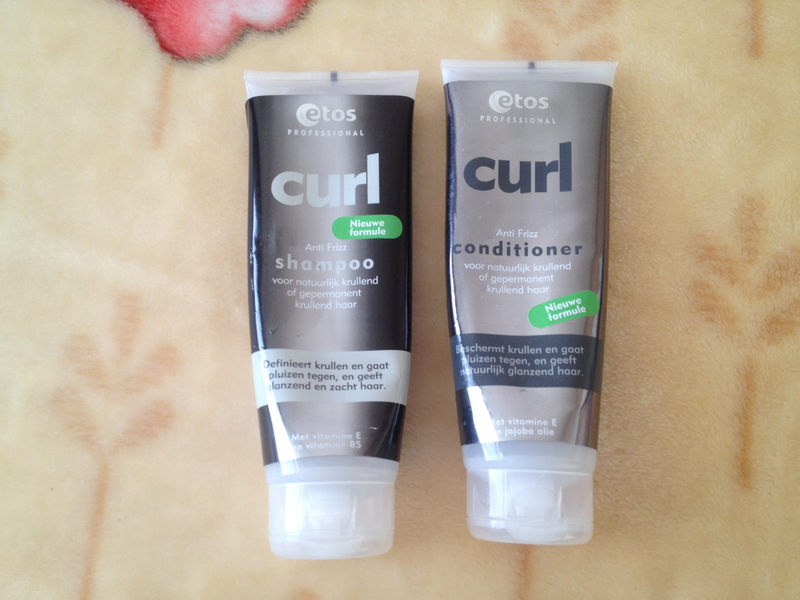 I have curly hair too, now i wanna try some of these products! thnx!!! gosh you are so beautiful darling!!! and your hairrrrr omg I want your hair, I've wanted your hair all my life!!! Your hair is beautiful, it must be easy to manage. You do have amazing hair, to be fair!